Mollie Stone's Markets is the best of both worlds. 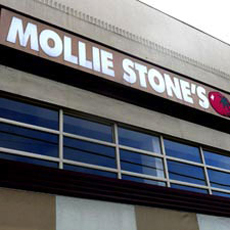 Founded in 1985 by Mike Stone and David Bennett, Mollie Stone's has been unflinching in its commitment to providing the best possible shopping experience for our customers. At Mollie Stone's, we value the customer #1. You are family to us.